From zero to 50 in two years would be bad if talking about automobile acceleration, but when talking about A320 Family aircraft production in the U.S., the timing is just right. The Airbus U.S. Manufacturing Facility in Mobile has reached a key milestone as it has received the 50th shipset of major component assemblies (MCAs) just two years after taking delivery of the first shipset. 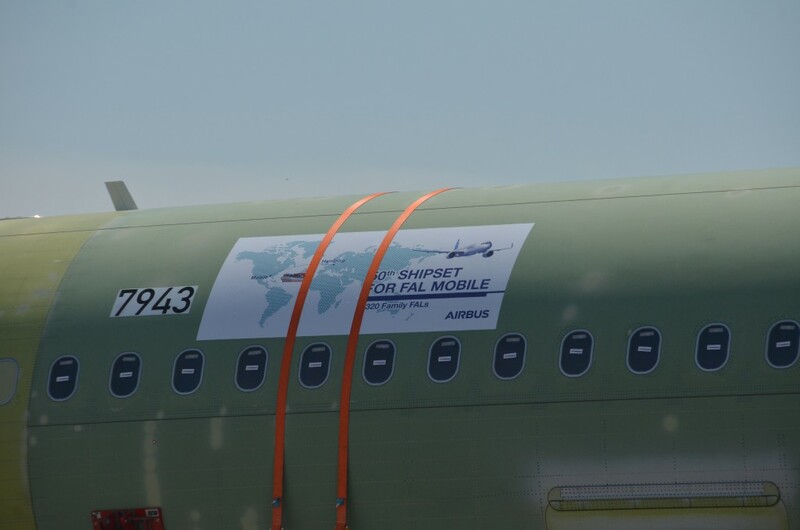 The components will eventually become the 50th Airbus aircraft produced in the U.S.
A shipset includes front and aft fuselage sections, a vertical and horizontal tailplane, and wings. The MCAs, which are manufactured in various facilities around Europe using parts and systems from around the world (including the U.S.), are brought together and shipped from Hamburg, Germany, to the Port of Mobile and transported by road to the Airbus U.S. Manufacturing Facility. Since production began in 2015, Airbus has delivered aircraft from Mobile to four customers: American Airlines, Delta Air Lines, Jetblue and Spirit. The facility will produce four aircraft a month by the fourth quarter of 2017.